Jan. 20, 2019 4:00 p.m. The arrival of the new year prompts forecasters to reflect on what may lie ahead for our economy. For Canada and B.C., the picture is mixed. Several external risks and domestic headwinds are likely to weigh on economic activity. But some positive factors are also in place. Starting with external risks, one important question concerns the implications of a slowing global economy. The U.S. economy is still expanding at a decent pace. But growth across much of Europe seems to have come to halt, and China’s massive economy has cooled in the face of a slumping stock market, high corporate debt loads, and new American tariffs on Chinese exports. So far, China has gotten the worst in the trade war initiated by U.S. President Donald Trump. If the U.S.-China trade conflict escalates further, the consequences could be dire for both the global economy and Canada/B.C. A second question is the fate of the revised NAFTA deal hammered out by the U.S., Canada and Mexico last fall – the awkwardly named U.S-Mexico-Canada Agreement. While Canada and Mexico can easily approve the USMCA in their national legislatures, the same is not true in the U.S., where Congress operates independently of the president and has constitutional power to say yes or no to trade agreements. With the Democrats taking control of the House of Representatives following the recent mid-term elections, and with the Trump administration mired in daily chaos, it is unclear whether American legislators will approve the USMCA in 2019. If they don’t, there will be a dampening effect on business investment and confidence in Canada. The path of interest rates and borrowing costs is a third key question that bears on the Canadian/B.C. economic outlook. Last fall, the Bank of Canada was hinting it would hike its short-term policy interest rate up to three more times by the end of this year, on the heels of previous increases. But the bank has recently changed course, as slumping oil prices and softer Canadian housing markets have led it to revise down its Canadian economic forecast for 2019. In this environment, the bank may hold off on increasing its policy rate for the first half of the year. It is also worth noting that market-determined interest rates, including bond yields, have been declining since November, signalling some underlying pessimism about the health of the Canadian economy. All of this points to more accommodative financial conditions for businesses and households carrying debts or needing fresh credit, compared to what forecasters were expecting last fall. A fourth big question hangs over housing markets here in B.C. The once red-hot housing and real estate industries are clearly downshifting, with home sales plunging and prices trending lower in the lower mainland and some other regions. Residential construction is also losing steam, as housing starts in the province declined by seven per cent last year. In Metro Vancouver, starts were down by 11 per cent. 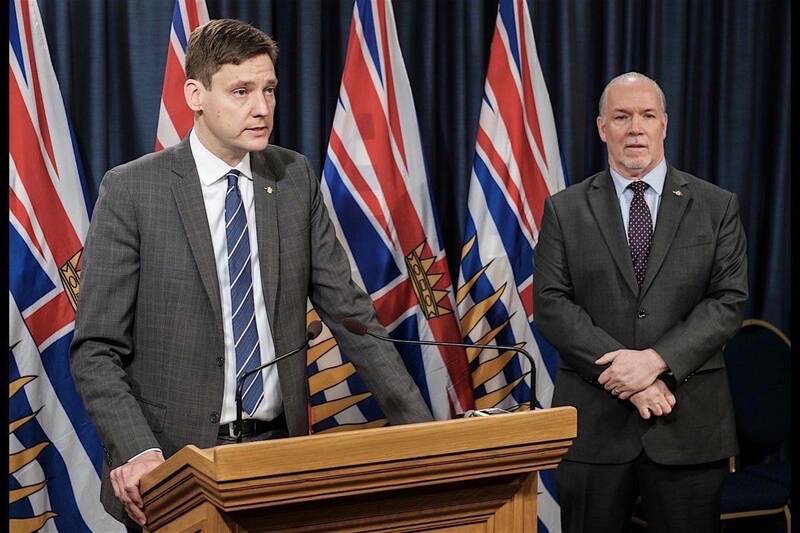 Higher borrowing costs, tighter mortgage lending rules, and new/higher housing-related taxes levied by the B.C. government are all contributing to diminished levels of activity in the housing and real estate sector. I see the weakness persisting throughout 2019, and perhaps beyond. Fewer housing starts, slumping home sales, and lower prices will all take a toll on B.C.’s real estate-centric economy, especially in the near-term. In fact, the unfolding housing/real estate downturn is the main reason why the Business Council is trimming our 2019 economic forecast for the province. That said, we still expect the B.C. economy to expand by 2.2 per cent (after inflation) this year, which counts as a respectable performance in the Canadian context. Fortunately, the pull-back in spending on housing and some related services will be offset by continued growth in exports, stronger public and private sector capital spending, and the benefits expected to flow from the development of LNG Canada’s $40-billion Kitimat gas liquefaction plant and the associated pipeline and other infrastructure.